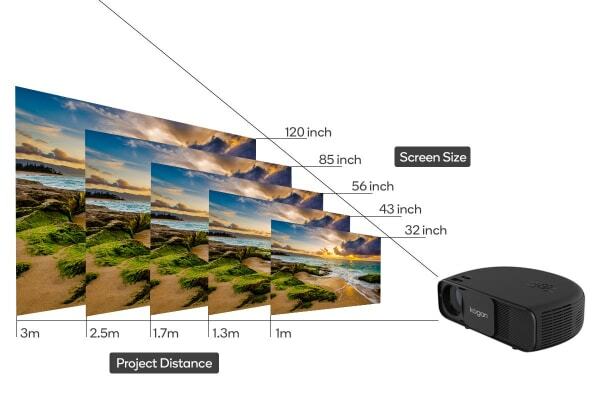 Create a truly unique cinema experience in your home or make business presentations more impressive with this high-quality HD projector and Google Chromecast 3. Lightweight 2.2kg design – ideal for wall mounting and storage! Incredibly long lamp life – 50,000+ hours! Considering a projector but hesitant about the cost and size? The Kogan 3200 Lumens HD Projector with Chromecast 3 offers a compact, fantastic value solution which doesn’t compromise on quality. The 3200 lumens of brightness recreates images in super-vivid detail without looking overexposed, and the HD capabilities mean that even Blu-ray and gaming content will stay sharp, even up to 120”. Stream your favourite entertainment to your TV with Chromecast 3, letting you cast Stan or launch Spotify from your compatible pixel device – Chromecast 3 even supports Google Assistant! 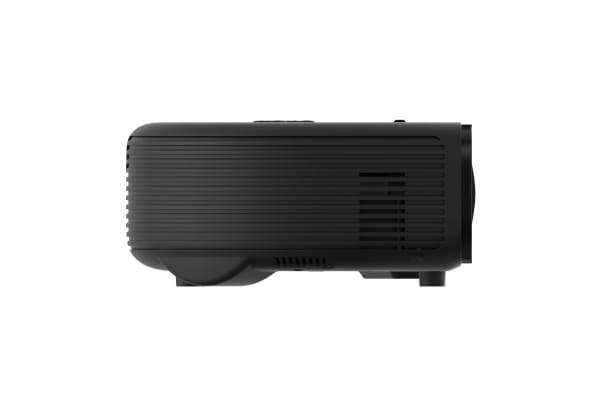 Weighing in at just 3.3kg, this projector is the ideal weight for moving from office to office, setting up at a friends or mounting. 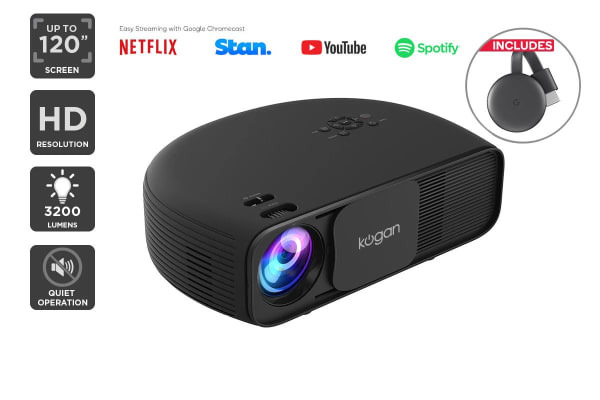 With a multimedia interface, the Kogan 3200 Lumens HD Projector connects with your devices seamlessly. Enjoy the convenience of connecting via multiple HDMI and USB ports, VGA and more.